Compassionate, convenient, care for pets. When you walk through our doors, something special happens. You gain a group of people who truly have your back. A team of professionals that truly cares about your life, your concerns, and your pets. 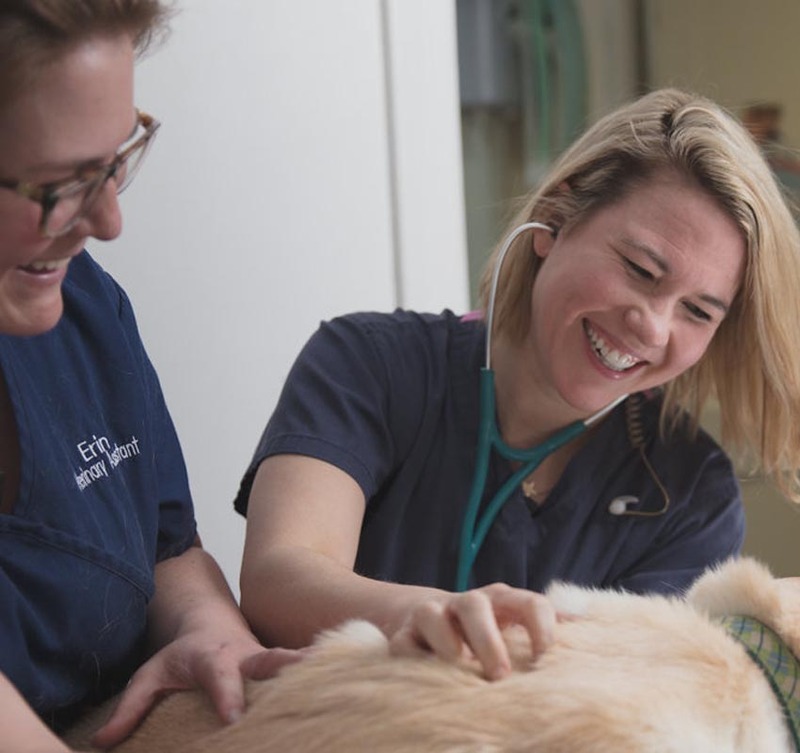 A community that prioritizes the level of comfort and trust you feel inside our veterinary hospital. We believe this relationship should feel special to you. 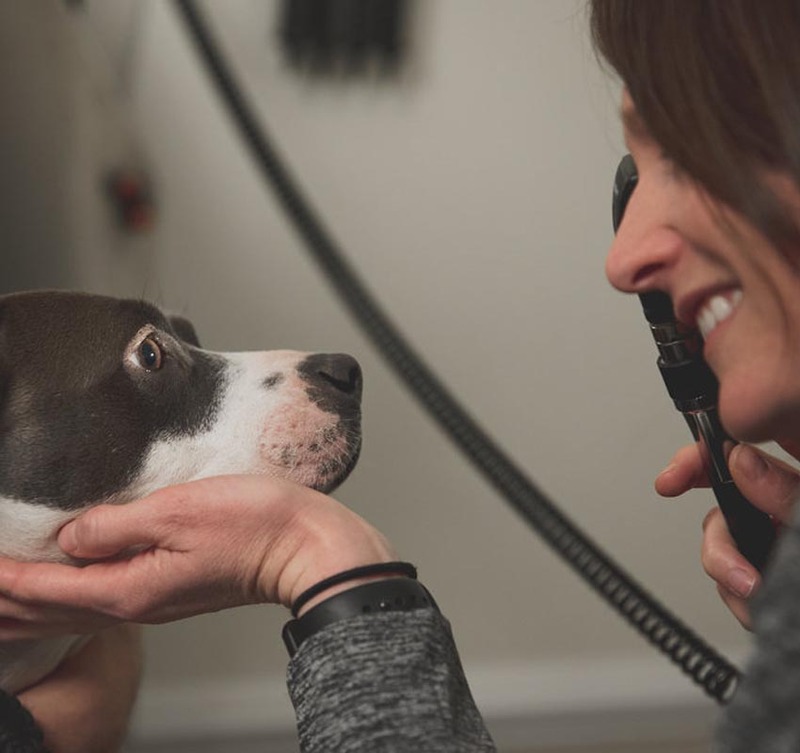 We believe you deserve to feel taken care of and confident that your pet is receiving the best care there is. And we can’t wait to show you how wonderful that feeling can be. We think deeply about how to make your experience better and constantly strive to do more than is expected. We are open 7 days a week because we know it can be difficult to fit a veterinary visit into a busy schedule. We prioritize your experience once you’re in the hospital – once you are here, you won’t wait long to be seen. And we have structured our hospital and trained our team to make sure this is as positive and convenient of an experience for you as possible. Because you matter. We practice exceptionally high-quality medicine. 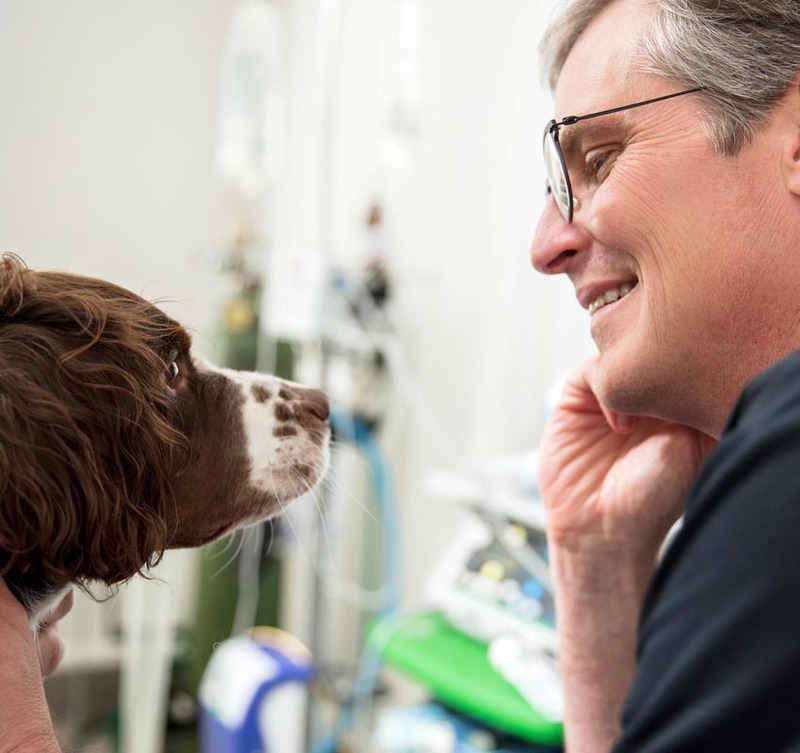 When you entrust your pet’s healthcare to us, we make sure we take an incredibly thorough and modern approach. We will make sure to figure out the root cause of any issue and treat it in the best possible way. We are proud to have an incredibly diverse and talented team of professionals and cutting-edge medical equipment. We work with board-certified specialists who are among the most talented and highly trained professionals in the entire country. So no matter what your pet needs, know that here, the only standard is world-class. I would highly recommend and love Shandon-Wood Animal Clinic. Dr. Rasor and her team were the absolute best to work with while our cat was severely sick. Dr. Rasor always communicated all our options very clearly and never pressured us into any treatment course that we weren’t fully on board with. We truly felt that all the staff members at Shandon-Wood cared about our cat and how he was doing. It is always hard going through times when a part of your family is sick, but having this top notch team along side of us was more than we could have ever asked for from an animal clinic. From the minute we walked in, I knew we were at the perfect place! Dr. Ross and everyone there truly have a passion for animals. Quick, easy, informative first visit that was painless for my pup (and me). Great job and thanks! I cannot say enough wonderful things about Shandon-Wood Animal Clinic. I have been going here for almost 2 years now and they treat me as though it is my first time every time! Dr. Cheryl Sine is incredible and cares for my cats so well that it makes them feel like they are at home. She is very thorough and does not rush. She makes me and my cats feel at ease and does a fabulous job. I would and do recommend this vet to anyone and everyone! Absolutely love SWAC! Switched to SWAC after a terrible experience at another Columbia vet. The vets and techs are wonderful and attentive. They listen and understand my concerns. My furbaby hates having her nails clipped. They take great care in making her comfortable during the task, even taking extra time and extra treats. I recently had her spayed and I couldn’t have asked for better care. Extremely happy with SWAC.